Come train at the RocknRoll Brazilian Jiu Jitsu Open Mat Saturdays in Orange County. High level technique, technical rolls, share techniques and good music of course. All levels, schools and people who love to train jiu jitsu and share techniques. 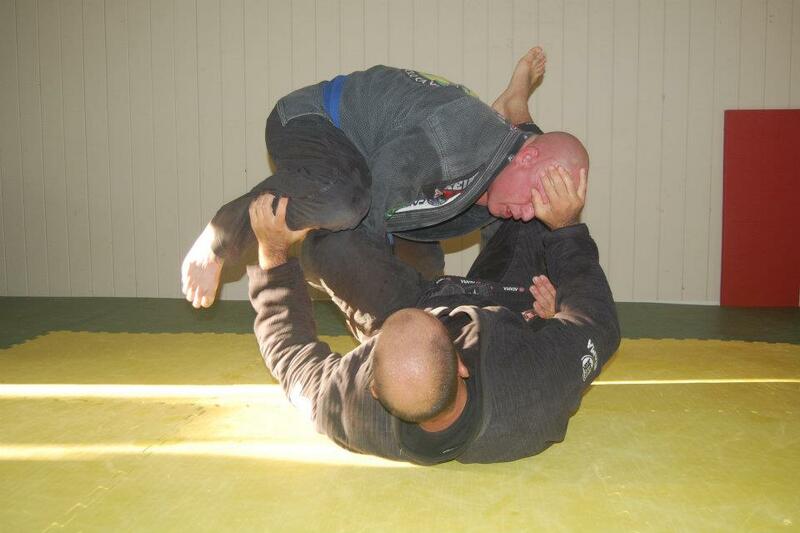 Train gi or no gi, its up to you and whoever wants to train with you. 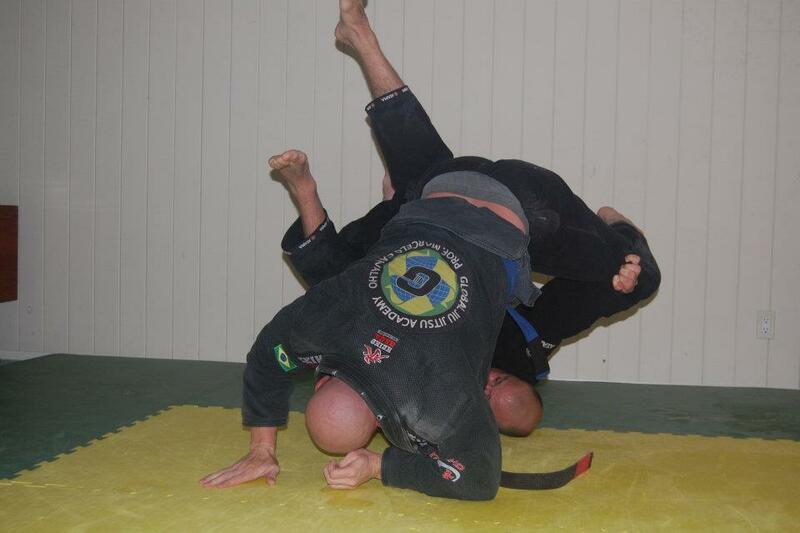 Training both is strongly encouraged, but its all for fun and the love of Brazilian Jiu Jitsu at the end of the day! High Level Open Mat Saturday Action! Be sure to ‘Like’ the RocknRoll Jiu Jitsu page on Facebook! http://www.facebook.com/rocknrollbjj Keep posted on new techniques, open mat events and other fun things related to Brazilian Jiu Jitsu. Mike Feldman From Las Vegas Stopped by for a roll! Oh yeah, lol, be sure to come by and subscribe to the RocknRoll BJJ Youtube Channel. Happy training everyone and best wishes to all! 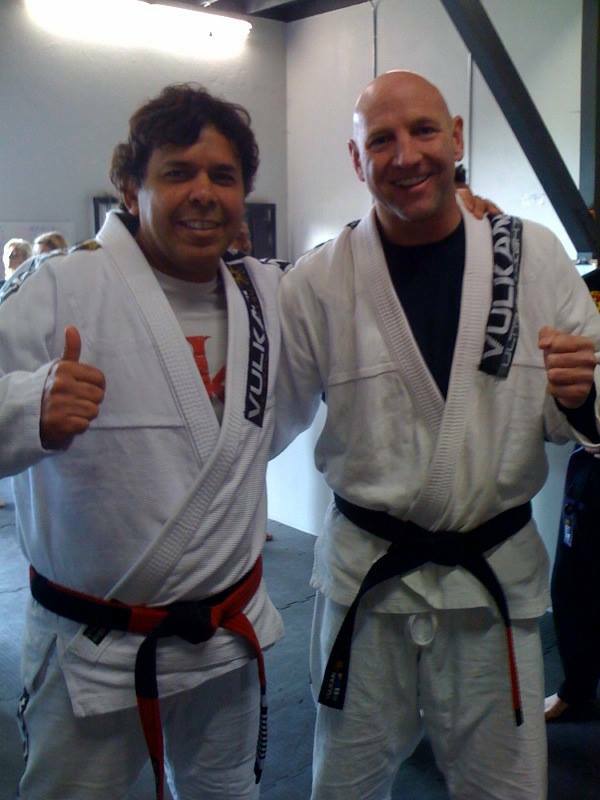 Professor Marcelo Carvalho of Global Jiu JItsu Academy has a NEW location in Orange County! Marcelo has a great all around game, but his specialty is guard as you will find it quickly if you roll with any of his students! If you are in Orange County and on the fence about where to go, be sure to try out a week FREE over at Global. And, of course, if you need Brazilian Jiu Jitsu Private Lessons in Orange County be sure to look up RocknRoll Brazilian Jiu Jitsu! When the Pan Ams come to Southern California once a year, everyone at Global Jiu Jitsu Academy get s really excited. About a week before the tournament begins, GFTeam world champions start rolling in to train with us. Our master, Professor Marcelo Carvalho is cousins with the Master of the GFTeam, Julio Cesar Pereira. How lucky is that? When the team visits, the dojo is packed wall to wall with Brazilian Jiu Jitsu black belts with Master Pereira teaching. We get to roll with Rodolfo Vieira, Theodoro Canal, Igor Santos, Wancler Oliveira, Vanessa Oliveira, Ricardo Evangelista and Denilson Pimenta just to name a few. I came in one morning on an off day and ended up getting to roll with about a dozen black belts all to myself! Here I am, Rich Zaydel, with Wancler Oliveira, Igor Santos and Ricardo Evangelista just to name a few. Sorry I couldn’t remember everyone’s name! 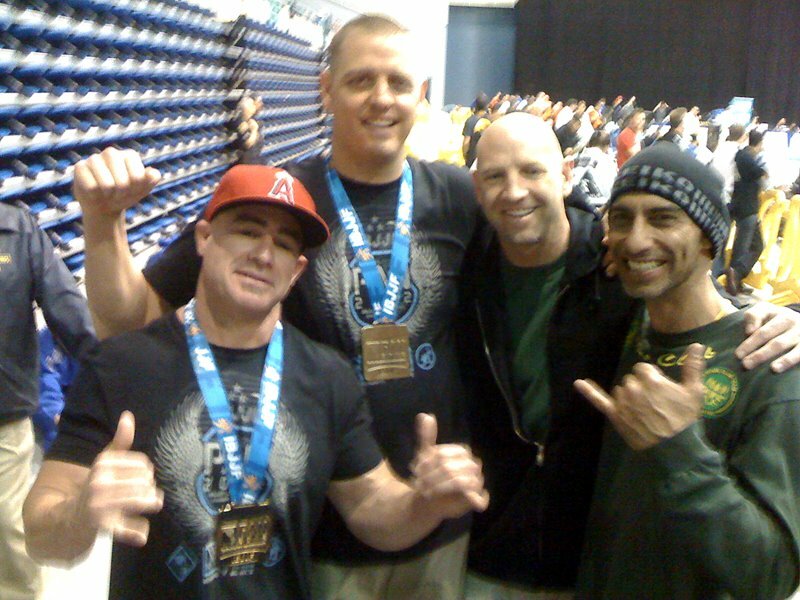 The GFTeam have the most amazing jiu jitsu and are the nicest guys in the world! Here is a pic with Dana Riddle, Andrew Goodman, Rich Zaydel(me) and Pistol Pete Loncarevich. Dana Riddle won gold in his division and Andrew Goodman won bronze. We all train at Global Jiu Jitsu Academy in Fountain Valley, California, under Professor Marcelo Carvalho, except or Pete who has his own school in Medford, Oregon. I am an assistant instructor under Professor Carvalho, but I also am head instructor at RocknRoll Brazilian Jiu Jitsu & Fitness and am also a National Academy of Sports Medicine certified personal trainer in Orange County California.